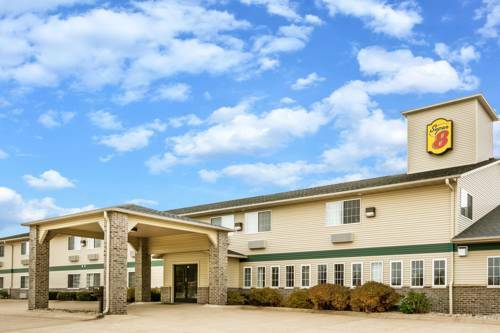 The Super 8 Neillsville is conveniently located on Hwy 10, 1 mi East of Hwy 73, 5 mi East of High Ground Veterans Memorial, 28 mi West of Marshfield, and on the ATV trail. The motel features an indoor heated pool with whirlpool, free SuperStart Plus breakfast, Free High Speed DSL Internet, hairdryers, AM/FM alarm clocks, and 25 inch TV's in all guest rooms. Deke, hometown hero and original Mercury 7 astronaut, shares exhibit space with a bunch of bicycles.